The 492 Camera Plate from Miller is designed to work with the DS-25, VJ-20, and DS-25 series fluid heads. 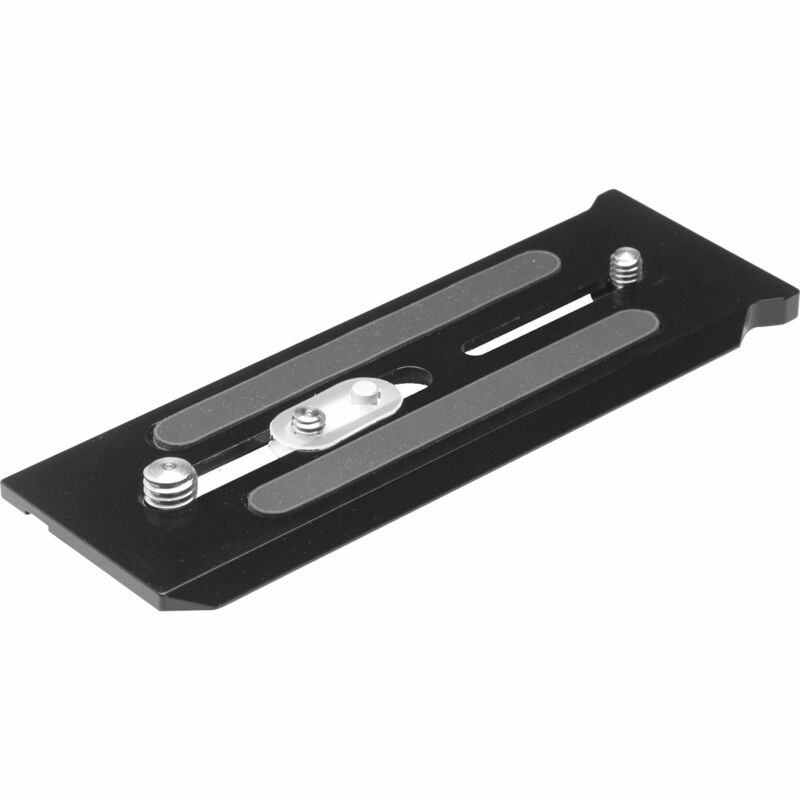 This mounting plate comes with one each 1/4"-20 and 3/8"-16 thread screws. Adjust these camera mounting screws within the plate's tie-down slots to find the proper position for balancing your camera on the head. The plate features two rubber strips that help maintain a secure grip with the bottom of the camera. Box Dimensions (LxWxH) 9.5 x 7.25 x 1.0"